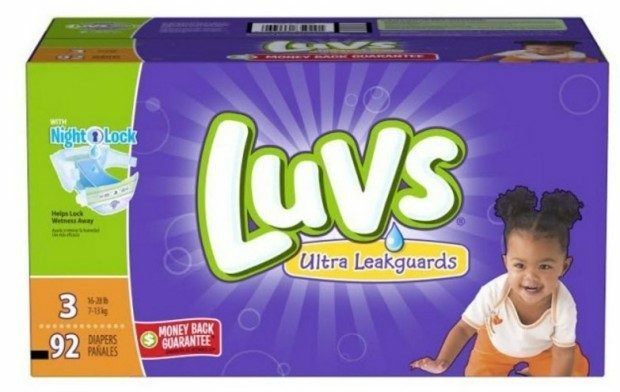 Luvs Diapers $5 Ibotta Rebate! Luvs Diapers has partnered with Ibotta to offer a great deal! Make sure you take advantage now! You can get $5 back on Ibotta When You Buy any boxed variety of Luvs diapers, 54ct. box or larger! 2. Go shopping for your Luvs diapers at any participating store. 3. Verify your purchases by scanning product barcodes and submitting a photo of your receipt. 4. Save money and earn cash back! Your $5 cash back rebate will be deposited into your Ibotta account within 48 hours. With the larger refastenable stretch tabs, fastening Luvs diapers is super easy for Mom, plus she can rest assured knowing that she’s giving baby a secure, snug fit again and again.